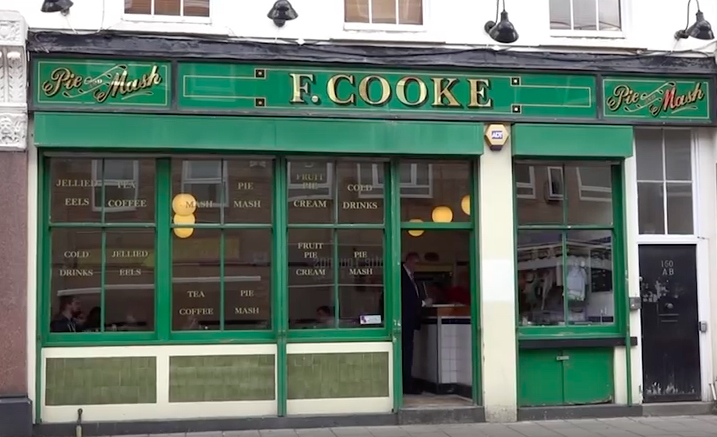 For generations, east London's Cooke family have lived up to their own particular branch of nominative determinism, and provided thousands and thousands of Londoners with traditional pie and mash. Fred Cooke opened his first pie, mash and eel shop in Clerkenwell in 1862; before long, his family were running a popular chain with branches across east London. According to pieandmash.com, 1862 was also the year a Robert Cooke first served pie with mashed potato and parsley sauce, a condiment usually associated with fish. Pie, mash and liquor. Photo by our own Matt Brown. The innovation was a huge success. 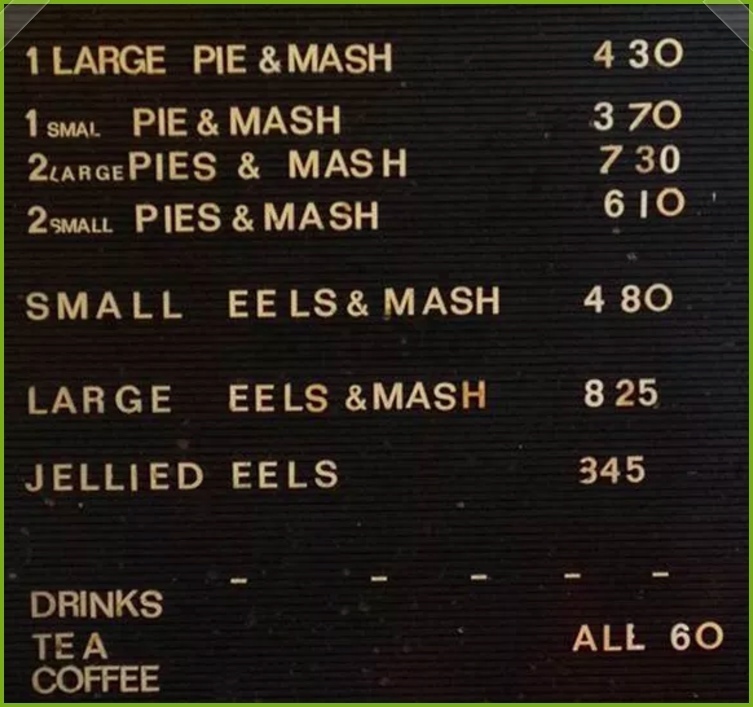 Pie, mash and liquor (the cooking 'liquor' from the eels) became the East End's signature dish. A branch of the Cooke business moved to the Hoxton Street premises; today, Joe, the fourth generation of the Cooke family is running the shop. Inside F Cooke's shop. Photo by Amanda Vincent-Rous. 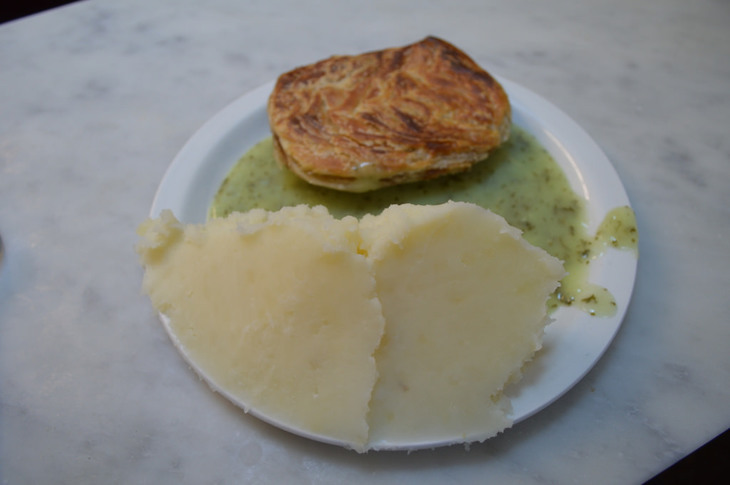 Meet Joe in the video below, explaining how to make pie and mash the traditional F Cooke way. F Cooke's Pie and Mash shop (don't call it a restaurant) might not have the largest menu, but what is made and sold in the shop is all of top quality, as Joe explains. Everything is produced from scratch: the cold water pastry (different types for the top — short — and bottom — suet — of the pies); the meat mixture (butchered by Joe himself); and the shop's vegetarian options. Just make sure you don't ask for gravy. 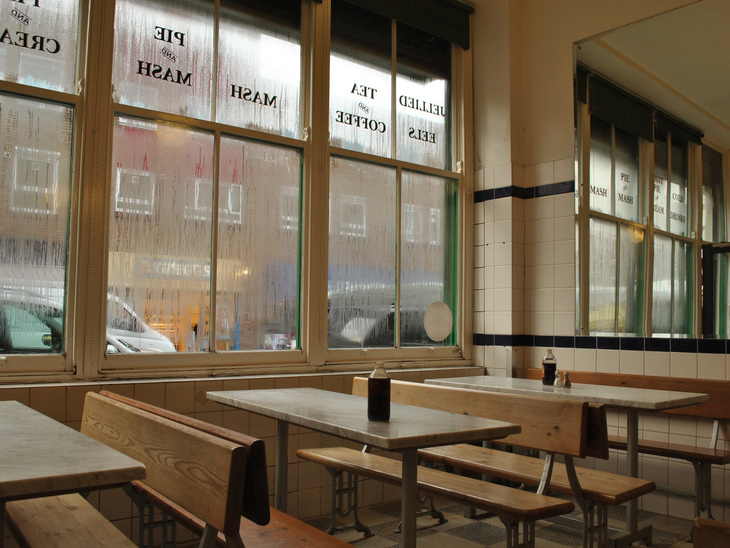 Although the video claims this is London's oldest pie and mash shop, various sources, including a previous Londonist article cites M Manze on Tower Bridge Road in fact has that honour.